Snowmobiling... "The Future is in Your Hands"
Will public and private lands remain open for our sport in the future? Long-term use of the lands is no longer certain. 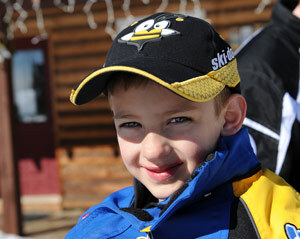 Only the unified voice of the entire snowmobile community will help to guarantee the continuation of our sport. Let ACSA be that voice. 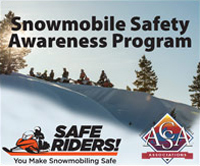 Snowmobiling is enjoyed by millions and must be represented by a strong national organization, ACSA is that organization. This national organization is dependent on the continued involvement of volunteers who enjoy snowmobiling as a form of outdoor recreation. The continued involvement of volunteers is dependent on financial resources to sustain that commitment. ACSA is the national organization that is committed to the future preservation of our sport. 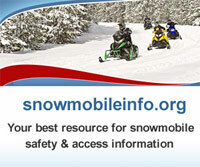 This organization is dependent on resources through partnerships within the entire snowmobile industry. ACSA appreciates your support and contributions on a national level and encourages your continued support of your local and state clubs and associations. Information on state associations can be obtained through the ACSA office. 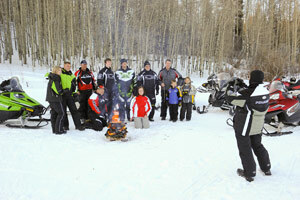 Assure the future of snowmobiling, join ACSA today. If you have questions, please call 517-351-4362 or fax 517-351-1363 or e-mail us.